apex go launcher Kitkat Launcher Nova ss launcher Go Launcher EX 5.0 is almost upon us! 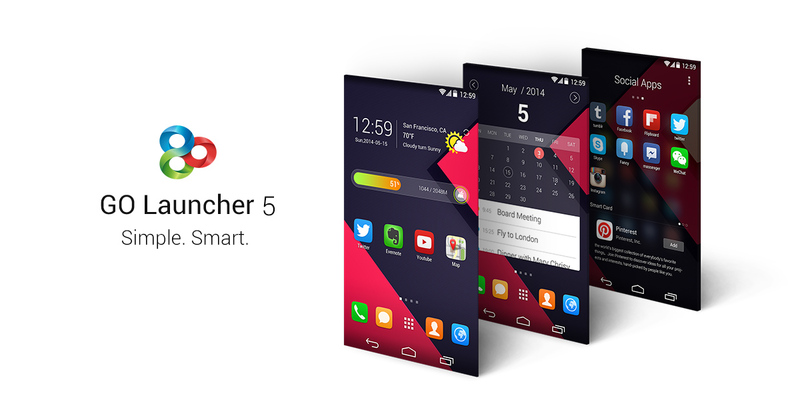 Go Launcher EX 5.0 is almost upon us! The Go Dev team has announced that the updated version of Go Launcher EX v5.0 promises innovation and a nifty UI. If you've been on the Android scene for a while you already know about Go Launcher and it's sweet loving interfaces, the themes, the stylish looks. From the looks of it, they are on the same track as before with this release scheduled in May. If you have any tips for us or if your in the mood to strike a conversation about your favorite launcher, whether it be Apex, Nova, kitka, SS Launcher etc, drop us a line!